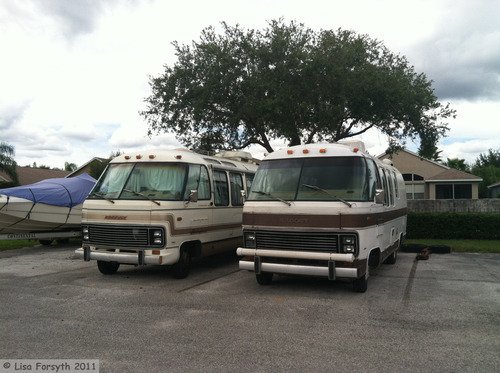 The one on the right, that is mine! Got it yesterday! 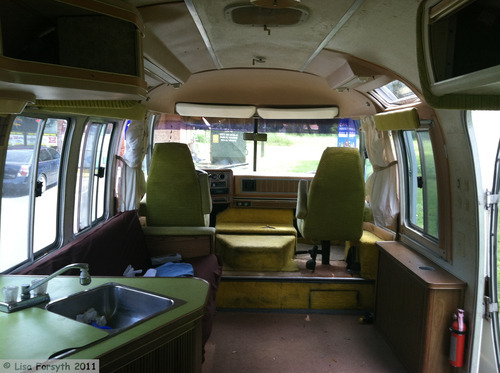 1977 24 foot Argosy! Anymore than that, I don’t quite know – 454 engine P30 Chassis – yup, I think. Yuk! The green has got to go! And it will. Plans are already being made! Basically it will be stripped down – the walls will be aluminum, the driver and passenger seats will stay and be recovered. A chair will appear in that empty spot. The hideous lime green sofa will completely vanish and a new counter/desk/cabinets will magically appear in its place! The kitchen counter, sink will all be replaced, the stove (we hope) will be cleaned up (insert Lisa elbow grease) and remain in place – hopefully it works! Obviously a new fridge and a complete overhaul of the bathroom. Basically stripped! I’m thinking this is going to take a year or so to complete. There are some high ticket items involved in this – I have to save the money and proceed carefully. I have the best guy working on this – Brett G. He knows everything! of course, I am biased! 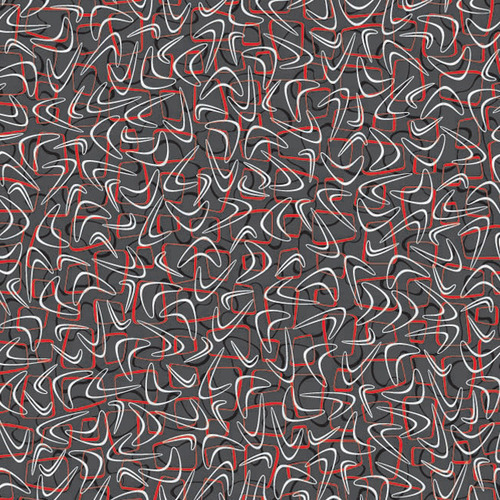 So far the color scheme I have chosen seems to hover around red, grey, black, and white, like this! 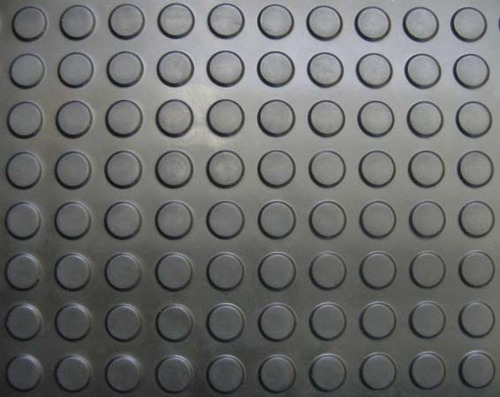 That is the floor look I want! Apparently it is rubber! 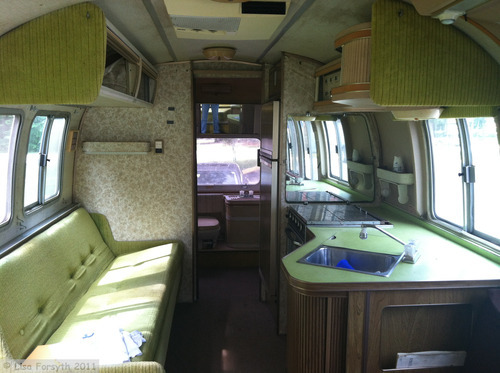 The carpet near the front of the motor home will be replaced with grey carpet to match floor – and the dash color will also be grey with some aluminum accents – the drivers side of dash will be customized to modernize it so that it blends nicely with the rest of the coach. The bathroom, which you can barely see will be updated and painted as well – I am going to leave the original sink and faucet in, because I like them – everything will be painted – I have to customize the shower curtain but that is about all! Massive work planned on closets as well – they will all be customized to hold plastic bins to make loading and unloading super easy and keep it super organized. Two people living in this for a week means that everything has to have a place and it needs to be convenient. I am surrounded by Virgos. Know what I mean?